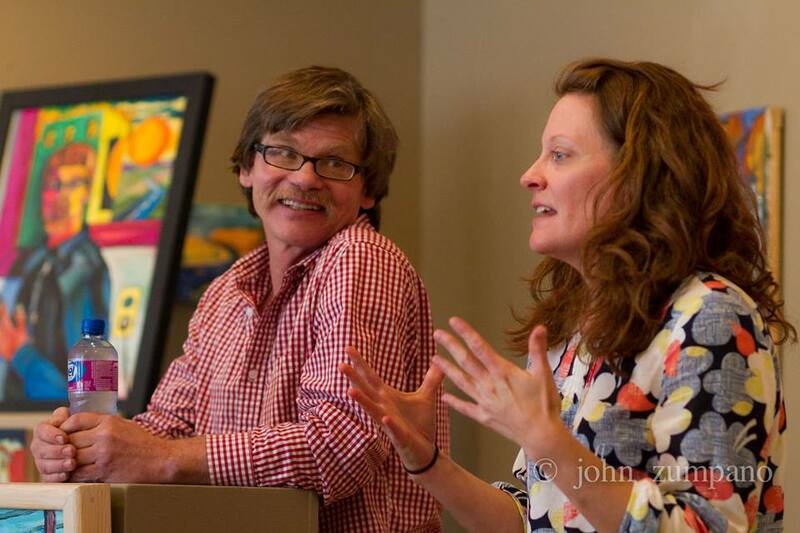 Many enjoyed the Danforth Gallery and Park County Friends of the Arts 2015 annual series “Discourse at the Danforth” discussing the creative process. 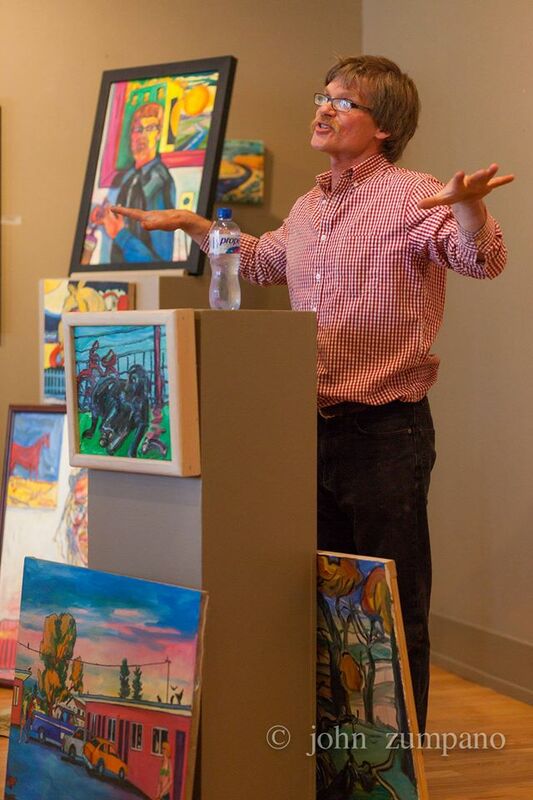 After three stellar presentations by fascinating, creative and talented folks for three weeks, the series ended with Edd Enders discussing his creative process on April 21, 2015 in conjunction with his “Inch x Inch” art exhibit April 17-22. Free admission, donations and memberships greatly appreciated. 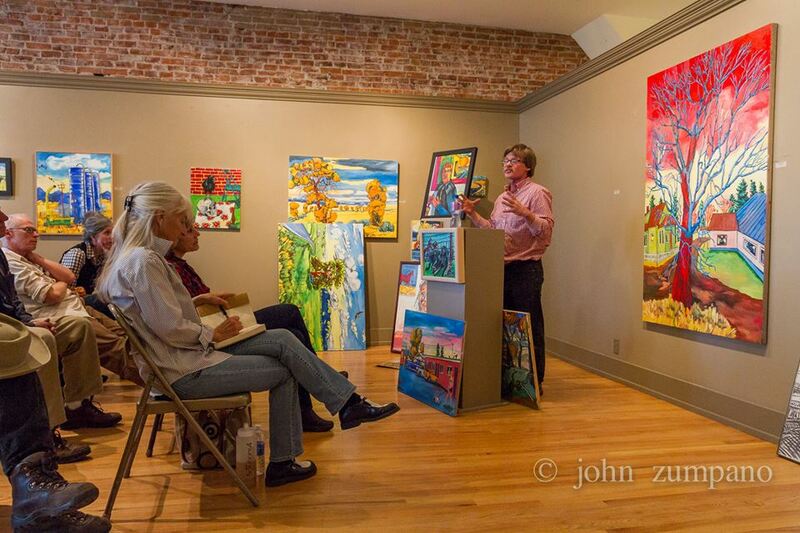 The Danforth Gallery is at 106 North Main Street in Livingston. Visit http://www.pcfadanforth.org/ for more information. 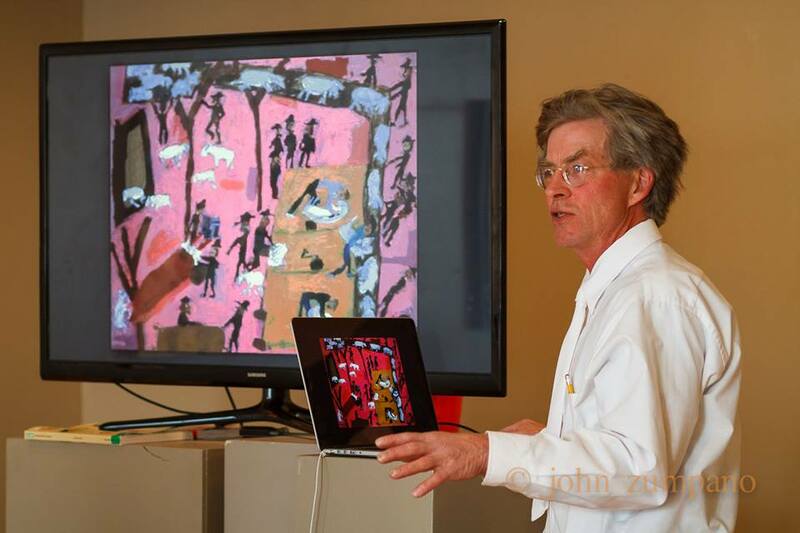 Final Discourse: Edd Enders Painting on Tuesday, April 21st, 2015. Enders will discuss his creative process; from sketching scenes, to building canvases, to mixing oil paints, to his painting style and why he paints what he paints. 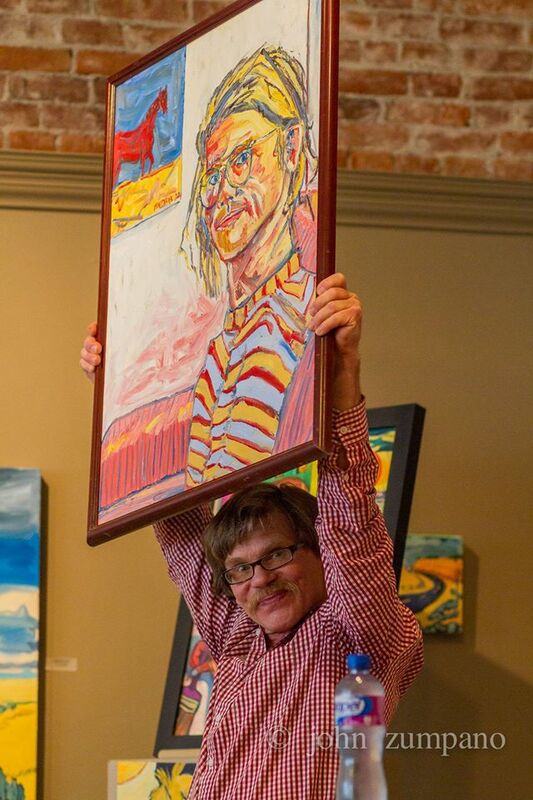 Don’t forget the reception for Edd’s show of new work “Inch x Inch” on Friday, April 17 at 6 pm, with a percentage of the proceeds benefiting the Danforth. Discourse at the Danforth has been sponsored by The Mint Bar and Grille (so stop by and thank them for supporting the arts and enjoy their own creative Taco Tuesday after the Discourse) as well as Synergigi Interior Designs. Thomas McGuane IV grew up in Paradise Valley. After graduating from MSU in 1991 with an English degree, McGuane began a career in bladesmithing. He had his first knife show at the Danforth Gallery. 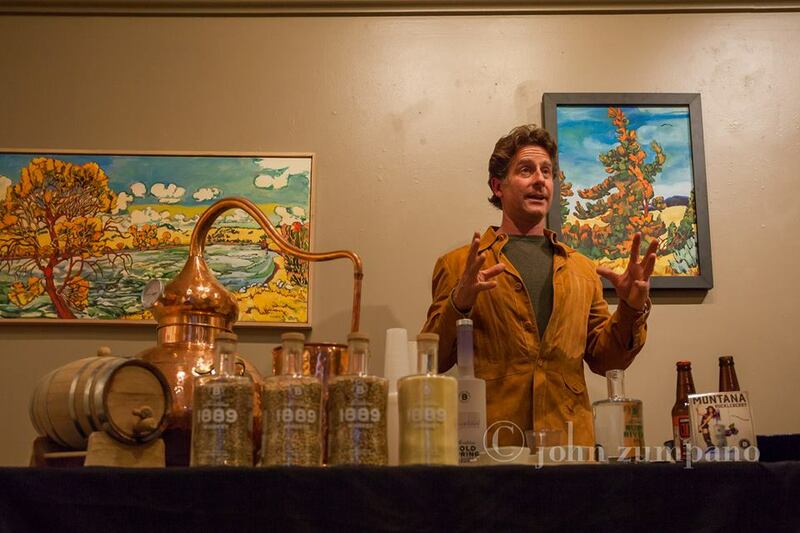 In 2014 McGuane added a new craft, distilling spirits at Bozeman Spirits Distillery. Creativity and craft are what link the process of making artisan knives and spirits. 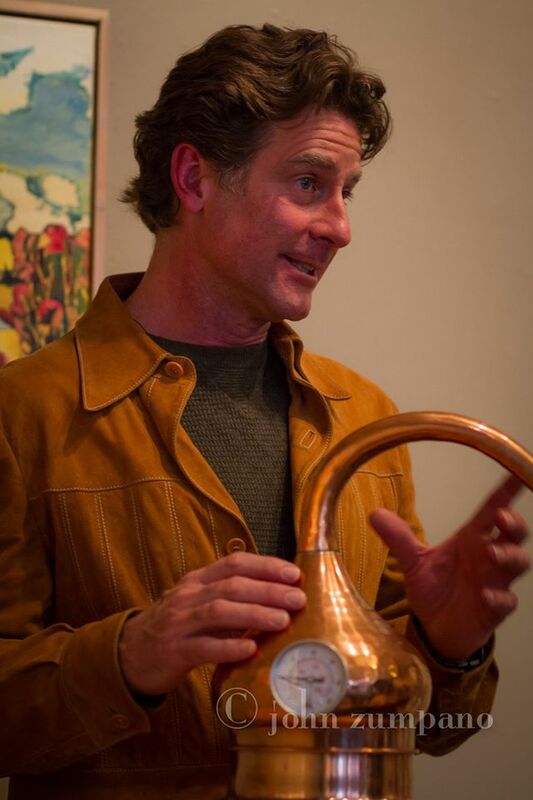 McGuane describes his creative efforts as combining “a sort of shared alchemy between transforming wood, metal and grain that connects these crafts in the convoluted mind of this artisan.” He adds that he will likely continue doing things as he pleases! 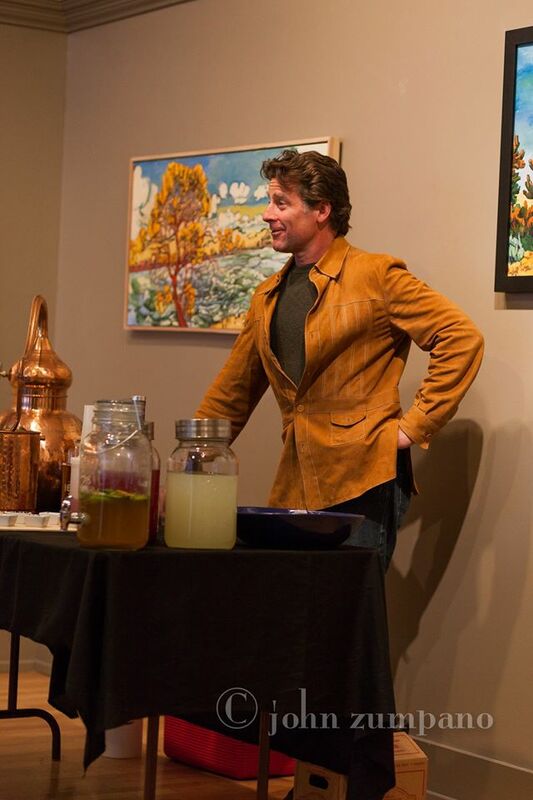 McGuane will expand his alchemy by mixing cocktails with his spirits at his Discourse at the Danforth. 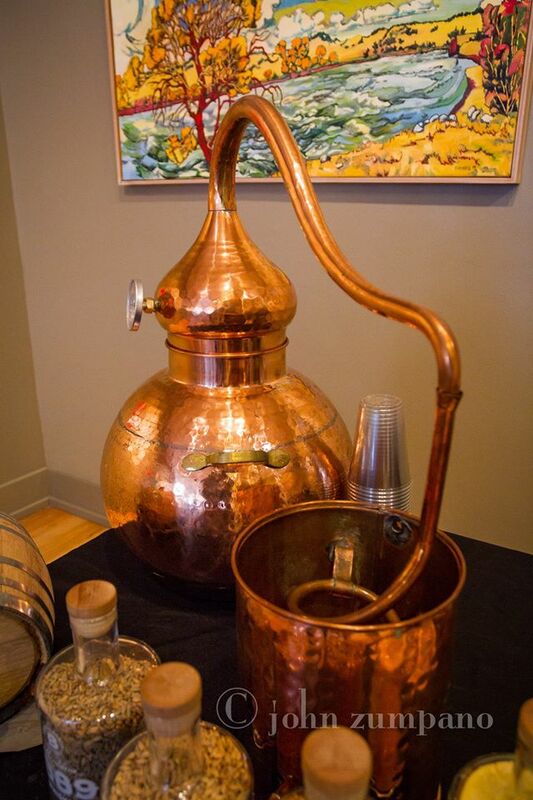 Learn more about Bozeman Spirits at http://www.bozemanspirits.com and visit them at 121 West Main Street in Bozeman, phone 406.577-2155. Woe on those who missed the amazing songwriting discourse (we even got to write a song together!) 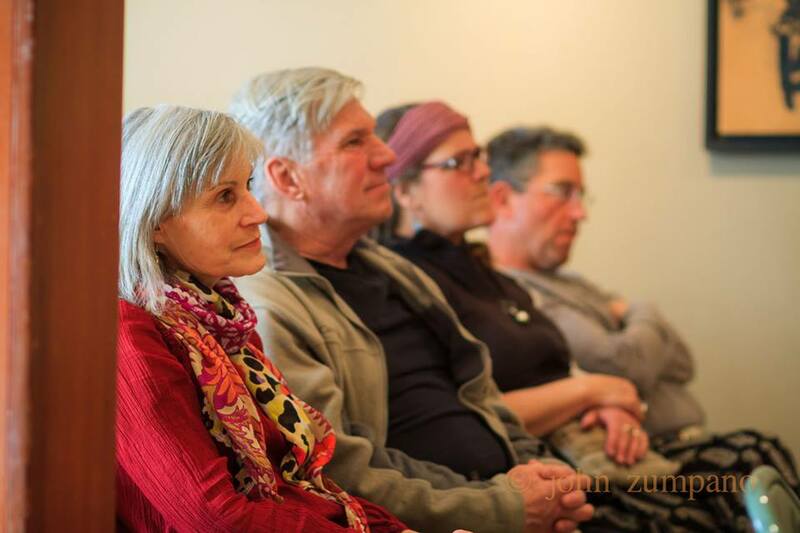 on April 7th at the Danforth Gallery. Learn more about Laurie Sargent Musician/Songwriter. 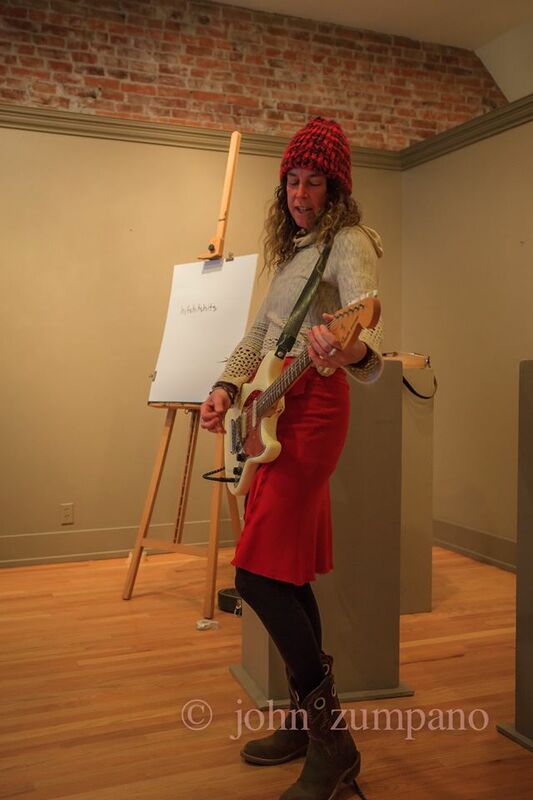 Laurie Sargent has has a long and a storied career as a singer, songwriter and instrumentalist and added organic farmer to her resume when she moved to Wilsall, Montana. Her self-described “long squiggly career” includes recording for major labels with Boston-based new wave band Face-to-Face, who had a top 40 hit, and acclaimed indie-label bands Twinemen and Orchestra Morphine, in which she joined forces with her partner Billy Conway (formerly the drummer for the band Morphine). 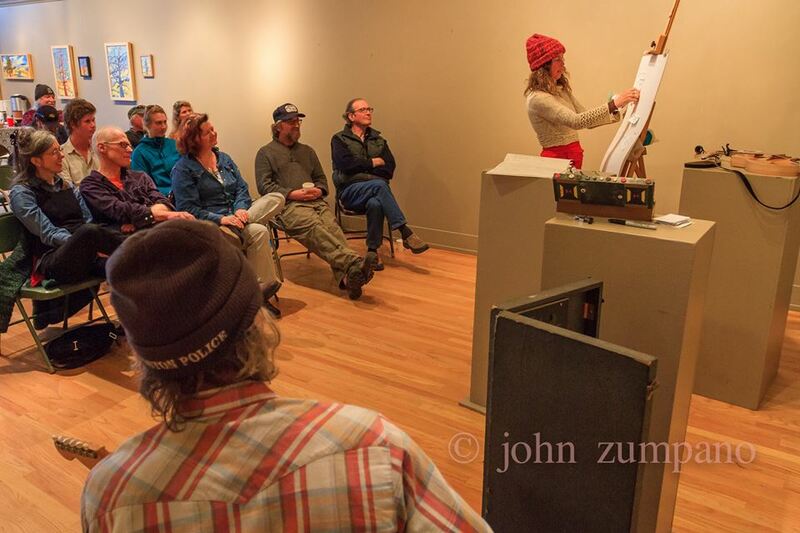 Language Series expresses the difficulty of communication. Black lines look like words, but they don’t say anything. Nerve Blocks show the strained and shattered nerves that happen in life. Things fall apart. Line Bombs remind me of the violence and disruption of the wars in Iraq and Afghanistan, and how war has taught the powerless and dispossessed that anything can become a weapon. The days are full of hidden bombs, and the lives of innocents are torn apart. Darwin’s Trees are a reflection on Charles Darwin’s own ink drawing of the Tree of Life. He used it as a visual representation of his great theory of evolution – that species diverge from common lineages. Yet the branches are broken, misshapen, and most species become extinct. Causation uses the intersection of black lines and circles to show the chain of lif e. Causal relations are everywhere. Each event in our lives is connected to events of the past and present. Often, the causal chain is very complex and hard to identify. Sometimes, it’s one big mess. View Installations on Jerry Iverson’s website.